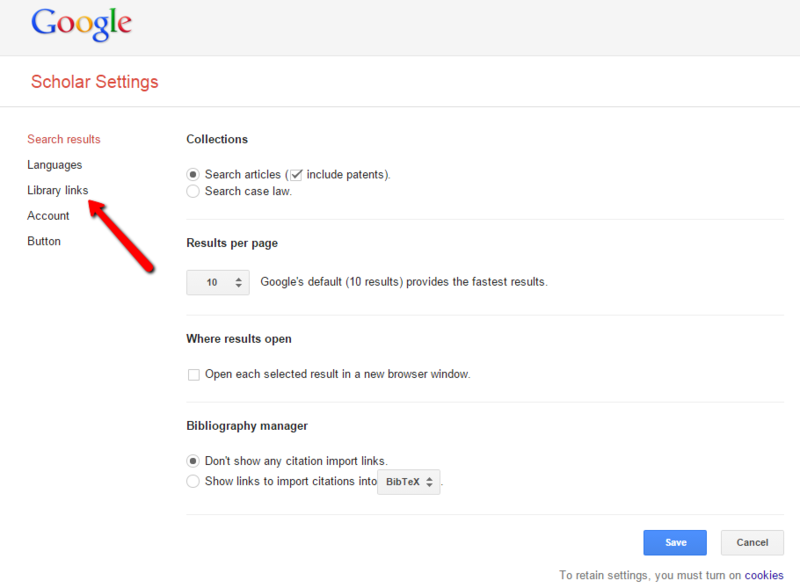 FAQ: How can I use Google Scholar to find electronic articles held by the Shapiro Library? Go to Google Scholar and click the three horizontal bars and then click on the "Settings" link. Under "Settings", choose "Library Links". Using the search box provided, search for "Southern New Hampshire University". 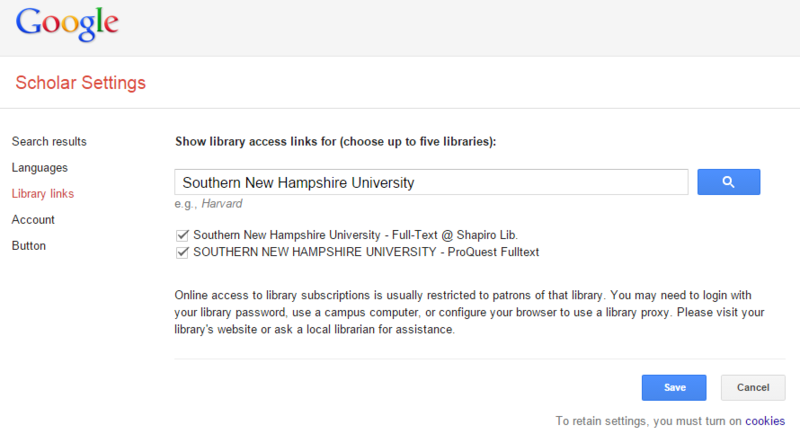 Click on the checkboxes next to Southern New Hampshire University resources and click "Save". Google scholar is a helpful tool for finding scholarly materials but remember to always evaluate any sources you find online. Do you have any advice on searching Google effectively?